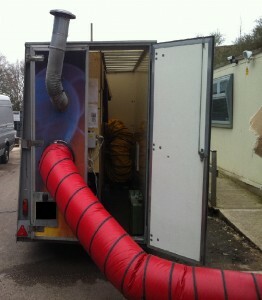 Same Day Dehumidifier Hire/Rental. Response time typically 4 hours only. It is of utmost importance to act quickly after a flood. Fast action up front will save a lot of time and money later. If you are responding on your own, local supplies of crucial materials like disinfectants, pumps, generators, and flood drying equipment will run out quickly if your area is widely affected. Unfortunately, too many people wait too long because they erroneously believe that they’ll need to show their Insurance Loss Adjuster how bad the damage is before they start to clean up. Sadly, on the other hand some people will actually react too quickly after discovering a flooded area, and attempt to dry out their affected belongings using an abundance of heaters. Besides creating an unnecessary fire risk, heating many building materials while soaked with water can cause negative side effects, such as shape distortion, surface cracking or peeling with plaster and paints, or twisting and warping of wood materials. 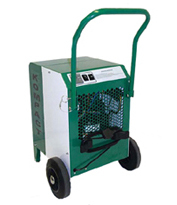 Building Response offer one of the most cost effective and inexpensive dehumidifier hire/ rental and air mover hire services in and around London. Our prices are listed below. Click here for a list of our competitors prices in comparison to ours! 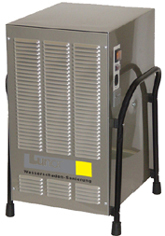 40 – 48 Litres per day @ saturation. 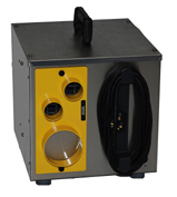 Height: 1016, Width: 508, Depth: 457 mm. Power Consumption: 851 Watts. 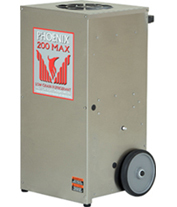 The Phoenix 200 MAX is one of the most effective and versatile drying devices available on the market; it is considered the ultimate in low grain refrigerant dehumidification. Our response time is between 4 and 48 hours depending on demand. 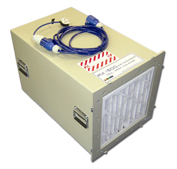 We aim to have dehumidifiers with you the same day. 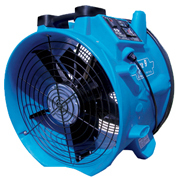 Dehumidifier hire from Building Response is your best bet in flood drying equipment. Unwanted moisture is extracted from your structure by means of water’s natural transfer from solid-state wet surfaces into dry air. 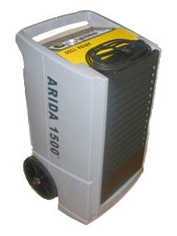 This process is done carefully so as to not be forced too quickly so dried surfaces are free of the damage often associated with heating. 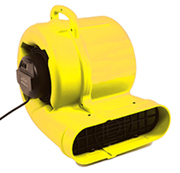 Emergency dehumidifier hire from Building Response is also one of the most energy efficient methods available to recover from a flood, so we offer a substantially lower-cost alternative to drying with expensive heating energy. The length of time that a building takes to dry out is very difficult to predict just from a standard formula; it will be affected by a number of variables including the type and thickness of the building materials and how long they have been in contact with the water. 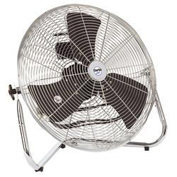 The best way to know when it’s safe to resume normal operations in your home or business is to use a humidity meter. That’s that, you don’t have a humidity meter of your own just lying around? Don’t worry, we do! Just contact us today at Building Response.